The Fee Free Economy of Network Pay™ provides instant payments between Customers, Freight Forwarders, Networks and Suppliers. Included in your Digital Forwarder Suite, Network Pay is the smartest way to pay partners and receive customer payments Fee Free using your own brand. You and your customers hold, receive and exchange 25 currencies without bank charges in a BPN Cloud's Fee Free Economy. BPN Cloud Members use Network Pay™ for Instant Fee Free Payments. Hold up to 25 Popular Currencies Accounts for Instant International Payments in a fee free economy. 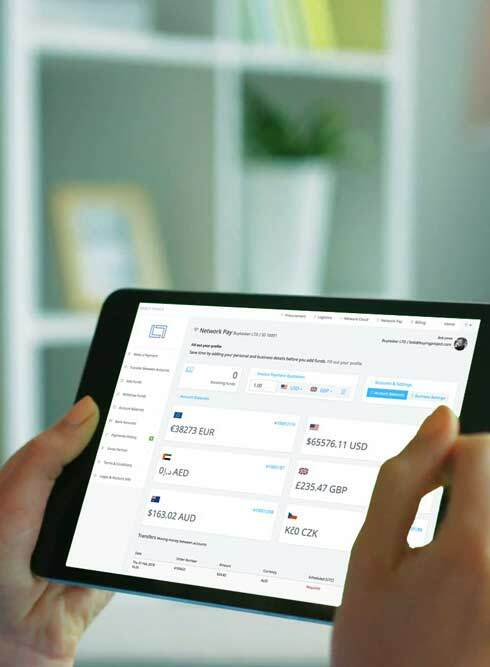 Networks, Members and Customers can all benefit from low cost instant International Payments, supporting over 25 Virtual Currency Accounts and pay to over 140 Currencies. Network Pay™ has no fees to transact between Members and currencies. A truly Fee Free Economy.